I could not get into it after finishing and loving the first opus. Not all the puzzles work or humor lands, but this still another great game made by a great studio. When the humor does work it showcases some great voice talent and a handful of very interesting characters. They took Portal and made you do it three times instead of one time while JK Simmons says hyperbolic things aggressively because humor is humorous. Not as good as the first game, but what do you want? 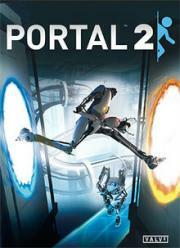 It's more Portal. Can't say that it's in any way worse than its predecessor, but it totally failed to leave an impression on me. Maybe I had sequel fatigue.